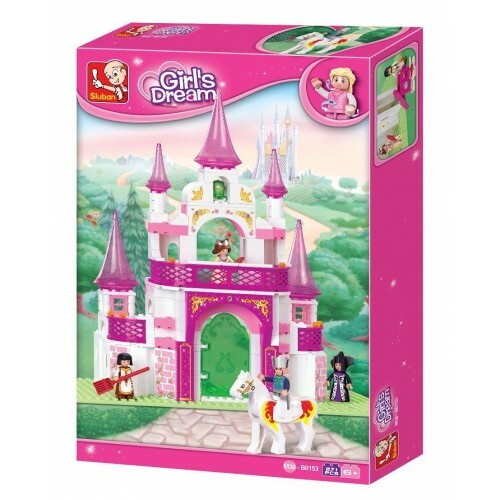 Let your little girl bring her dreams to life with this pink dream castle. 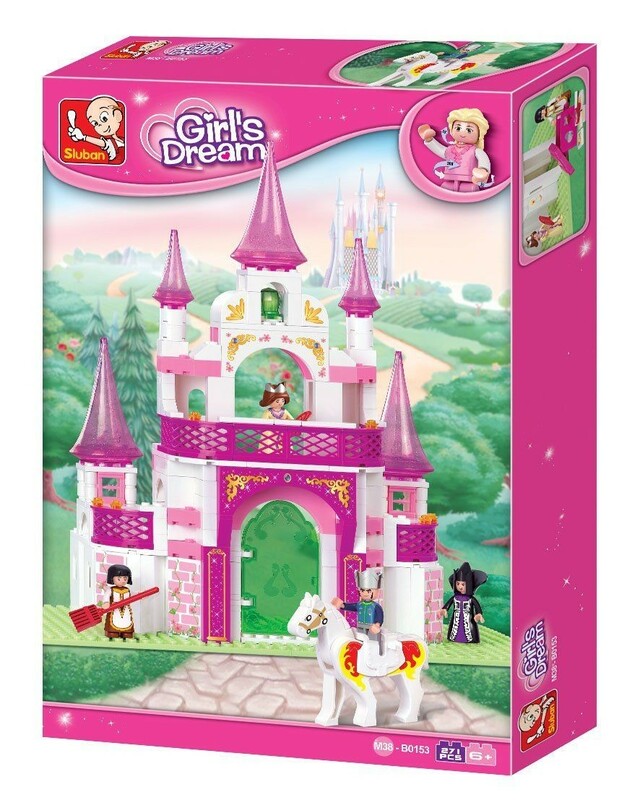 Including a princess, prince, horse, maid and evil queen along with props. This Sluban set comes in a colourful box including building instructions.